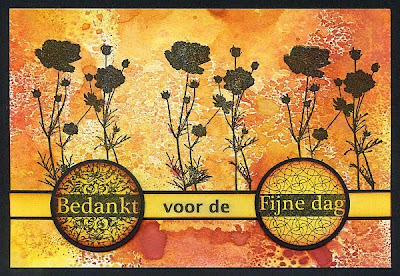 A small card with different Art Journeystamps. 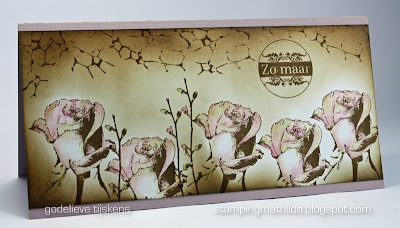 All stamps are from Art Journey: Seals, Nature 3 (flowers). I made a book with Grapic 45 paper. The dance couple was stamped on schrinky dinky. 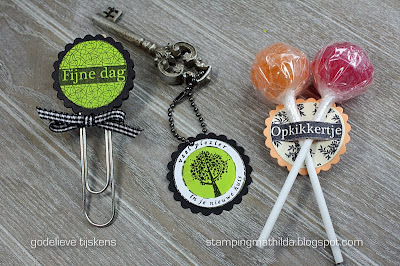 It is so nice to create small things with the seal stamps! Love the things you can do with these seals!! I made my first easel card with one of the stamps of an new Art Journey sheet. I hope to make a lot more with this beauty! 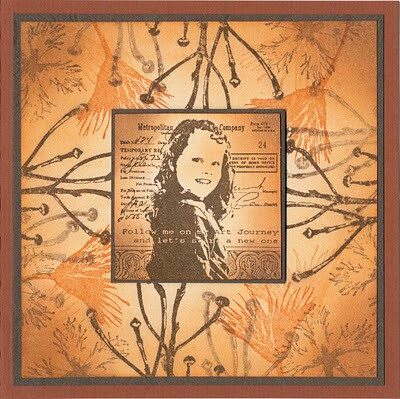 from Art Journey and Tim Holtz. I like these pillow boxes. They are simple to make with a template. The stamps I used are from Hero Arts, Elusive and Inkadinkado. 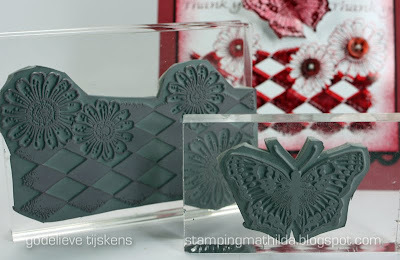 This month, Craft Stamper (March issue) gives away a free cover stamp by Art Journey! 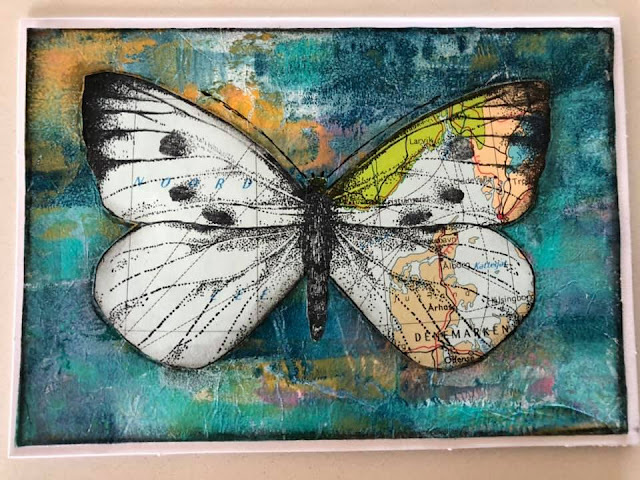 I had a little play with the stamp and came up with this quick make which uses the free stamp alongside two other background circle stamps from Art Journey plates. 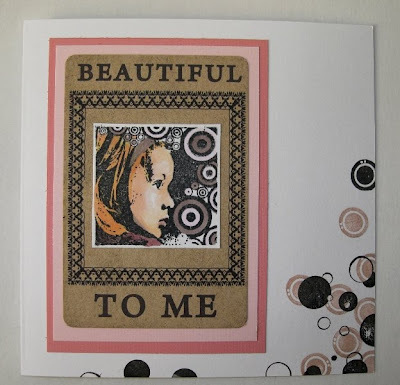 I used 2 stamps from Elusive Butterfly Daisy Collage sheet. 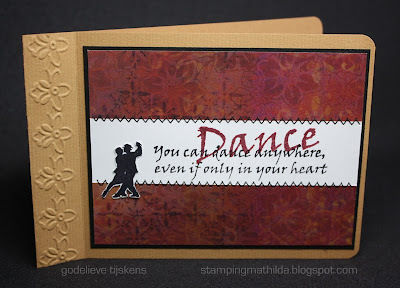 I stamped the collage image twice, using two shades of red ink. 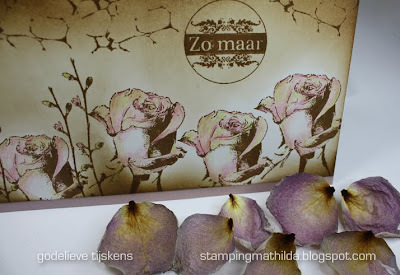 Twee stempels van het Butterfly Daisy Collage sheet van Elusive Images gebruikt. In 2 tinten rood gestempeld. -Art Journey (thank you) : Nature sheet.